The open house tour is a critical component of most real estate deals. 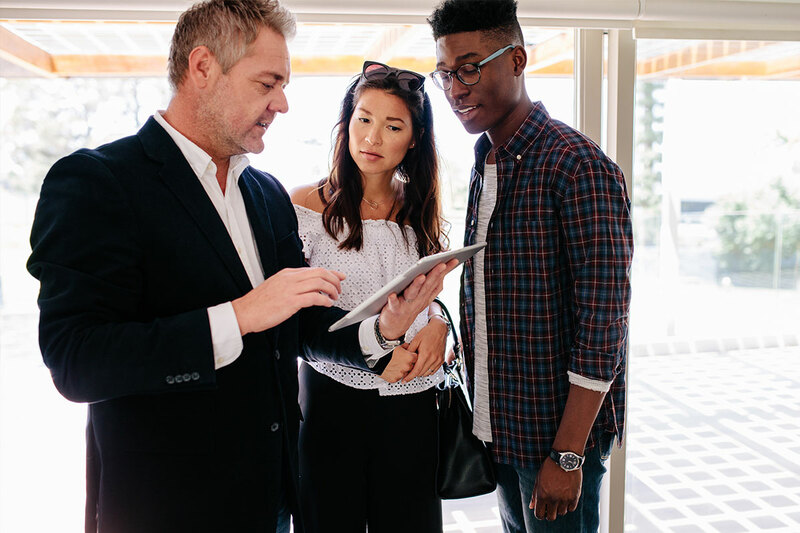 For prospective buyers, it can be confusing to know what to do at an open house, what questions to ask or what to look for as they take a brief peek at what could become their next home. What is an open house for? The open house is a perfect opportunity to tour a property once it’s on the market, but it’s not only interested buyers who attend. It’s common for neighbors to stop in, too, even if they don’t know the owners personally. For buyers who are not too far along in the process of searching for a home, open houses can also serve as research opportunities. Start by searching for open houses in a neighborhood that already interests you. Most open house dates and locations are listed publicly online or in the local newspaper. Try to find a few open houses in the same area on the same day to make the most of your time. Even if you aren’t serious about buying, open houses are a great chance to get a better feel for what you want or don’t want in a home. They also give you a feel for the neighborhood and the local market, not to mention an excuse to tour some impressive homes if you want. Market details: Ask the seller’s agent if any offers have already been made on the home or how stable the price has been. The property: What are some of the most recent renovations made to the house? Are there any maintenance issues the seller has come across? The owners: Why do the sellers want to move? What does their ideal timeline look like for finalizing the deal? The neighborhood: What are the neighbors like? What kinds of people live in the neighborhood? Is it mostly retired couples, families with children, young professionals, etc.? Be sure to ease into these questions, but don’t feel the need to press too hard for answers – this isn’t the time to engage in negotiation. Some of these inquiries, like the home’s market data, can even be answered with another look at the listing documentation. One key piece of advice for buyers during an open house: Don’t fixate on the little details. Cosmetic features like the paint or trim can be easily changed. Instead, focus on the big-ticket features that will be difficult and expensive to replace or repair. Signs of an old roof in need of repairs, or floorboards that are uneven and creaky, present more serious red flags. In the end, buyers should approach each open house with an open mind but a critical eye to ensure they feel ready to make an offer when the time is right.